TORO Reccommend to replace as a set. Not installed yet. Looks like factory wheels. 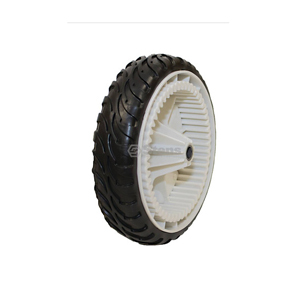 Ask us about the Stens 205360 Plastic Wheel. Please no repair questions. Your Q&A may be posted to Jackssmallengines.com to help other shoppers, like you, with their purchasing decisions. Thank you.